Joint house of prayer for Muslims, Jews, and Christians to be built in Berlin. An interfaith group is laying the groundwork for what will likely be the world’s first ever joint house of prayer. The center of worship, which will be called the “House of One," will combine simultaneous Jewish, Muslim, and Christian prayer services. The House of One is planned to be built on the site of Berlin’s first church, the Petrikirche. 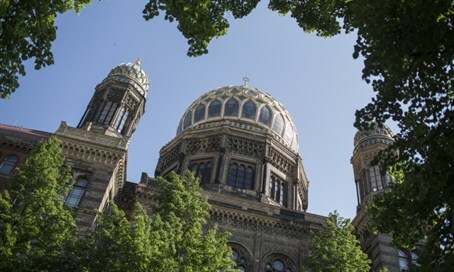 One of the organizers of the interfaith group behind the planned church/mosque/synagogue, Rabbi Tovia Ben Chorin, said that the House of One is a reminder that despite the dark history of Berlin in the 20th century it is now a center of tolerance. “For me as a Jew, this city is the ‘city of wounds’ and the ‘city of miracles.' In this place our systematic extermination was planned. And it is from this city that an answer has emerged,” said Ben Chorin. Construction of the building is slated to begin next year.